Gas prices are below $2 per gallon at stations across the country and the national average is $2.36 per gallon as of Dec. 20. 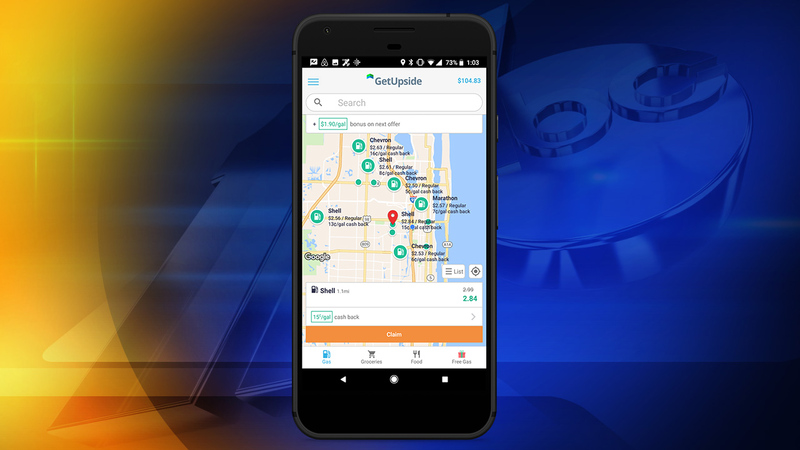 If you're hitting the road this holiday season, a new app is promising to help you find the best prices and even let you earn money back. When users open the app they can see current prices and different offers for cash back at gas stations nearby. After claiming one of the offers you have four hours to go to that station, buy gas, then upload a picture of the receipt. Once the receipt is verified, the savings are added to an account on the app. "You gotta claim the offer before you slide your card, pump your fuel and when you're done print out your receipt just take a picture of it and submit it within 24 hours the money hits the account," said Chris Elliott. Elliott is an ironworker who drives to construction sites across the triangle and spends about $150 on fuel every four to five days. He's been using the app since August and says he's saved a total of about $100. He says he's seen offers ranging from $.04 to $.20 back per gallon in our area. According to GetUpside's co-founder and COO, the offers you see can depend on where you are and who you are. "When people use the app we give everyone personalized offers that are kinda tailored to them to help give them the maximum cash back we can give them," said Wayne Lin. "The personalization is based on a whole number of factors. What's the relationship of you with that business? Have you been there before? Have you shopped there before? And so we can basically match the two sides together to say hey this business is really trying to attract you because you're a valuable customer to them they're willing to offer you money, cash back to get you to come." Drivers who use the app three to four times a month save about $3 per fill-up and $100 per year. Elliott said he plans to use his savings for the holidays, "I'm gonna use it for my Christmas fund, Christmas stuff, stuff for the kids." There are currently 285 gas stations using GetUpside across Raleigh, Durham and Chapel Hill and more than 700 across the state. Lin said another goal of the app is to give drivers more incentives to try new places. "If we're trying to get someone to go out of their way to kind of pull them into this gas station it might take a little bit more encouragement, so you might see different types of offers by user because the system in our app is trying to basically encourage people to explore and try different places."